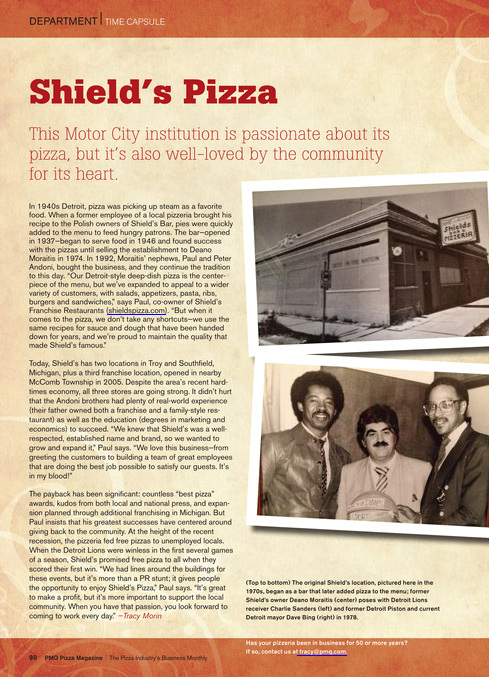 Shield's has been part of Metro Detroit's history since 1937 when Shield's Bar opened at the corner of Davison and Shields Street in Detroit. 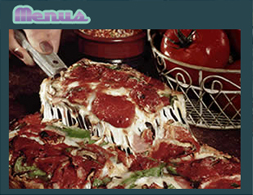 Shield's later began serving award-winning pizzas and salads and featured the ever-popular square, deep-dish pizza. 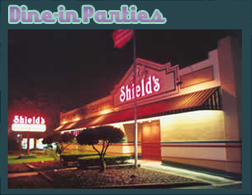 Shield's quickly became a landmark and a favorite gathering spot for families, politicians, athletes and public figures alike. Shield’s Pizza raises awareness of youth cardiac arrest! Shield’s Restaurant and Pizzerias recently donated $500 from the sale of specialty pizzas to support Beaumont Hospital’s Student Health Check Program, which screens student athletes between the ages of 13-18 for specific heart problems that could cause sudden death. Click here to read article! 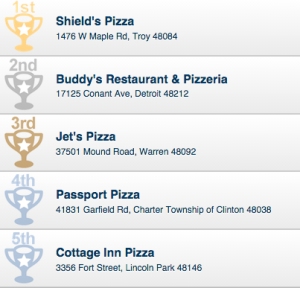 Shield’s Pizza Featured in PMQ Pizza Magazine! The history of Shield’s Pizza is highlighted in this article in the PMQ Pizza Magazine. << Click on the article to enlarge or click here to read article! New! !Shield’s of Detroit- Map it! Shield’s of Macomb Twp. – Map it! Shield’s of Southfield – Map it! Newly remodeled Shield’s Of Troy is now open! Shield’s of Troy – Map it! Shields invites you to have your next fundraising even at one of our locations. Have your friends and family eat at Shield’s on a designated day or evening and collect 20% of the receipts generated by your organization, excluding tax and tip. Join our E-Club for special promotions, coupons and news from Shield’s! Our Troy location is now open! 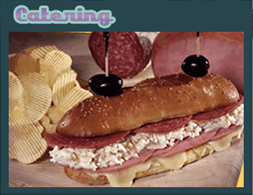 Or you can also visit our locations in Southfield or Macomb Twp.